I'm Alison, mum and owner/operator of Aunty Poll's Auzzie Crochet (Aunty Poll's for short). Here is a little information about myself and how I came to be online. I have been crocheting for many years, especially when I was younger. However, I have only been crocheting consistently for eight (8) years... That's when I found out I was going to be an Aunty!!! Since then, I have crocheted my way through several blankets (afghans), baby items, and in recent months, designing patterns! These doilies are available in a range of colours, and come in sets of 2, 4 or 6. Come for a yarn, stay for a ball! 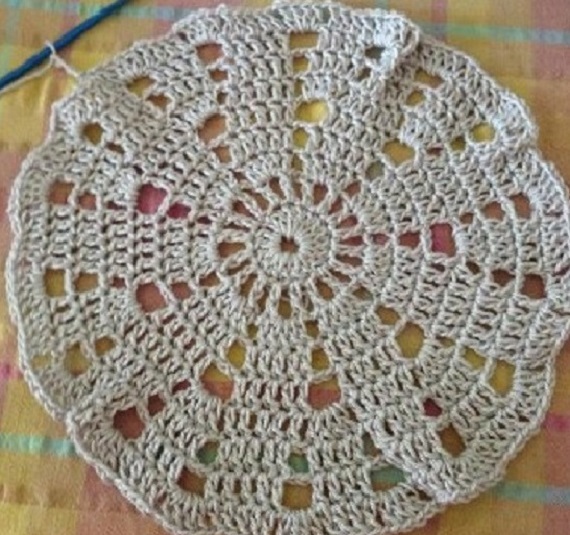 Aunty Poll's Auzzie Crochet's "Simple Timeless Doily" pattern.